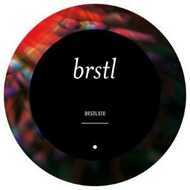 The Brstl label reaches it's tenth release with a return to where it started with a 12 from October & Borai. The label was set up by Rhythmic Theory, Chris Farrell and Shanti Celeste in 2011 from the Idle Hands record shop as a means to showcase the finest house and techno being produced in their city, Bristol. October's 'Head 4 Phuture' is a nod to the acid pioneers without resorting to revivalism. Instead a heady groove is teased out over several minutes, perfect DJ gear. October & Borai 'Too High The Future' is a heady stoned house groove, from Bristol's highest producers - with some weighty sub to propel things along.